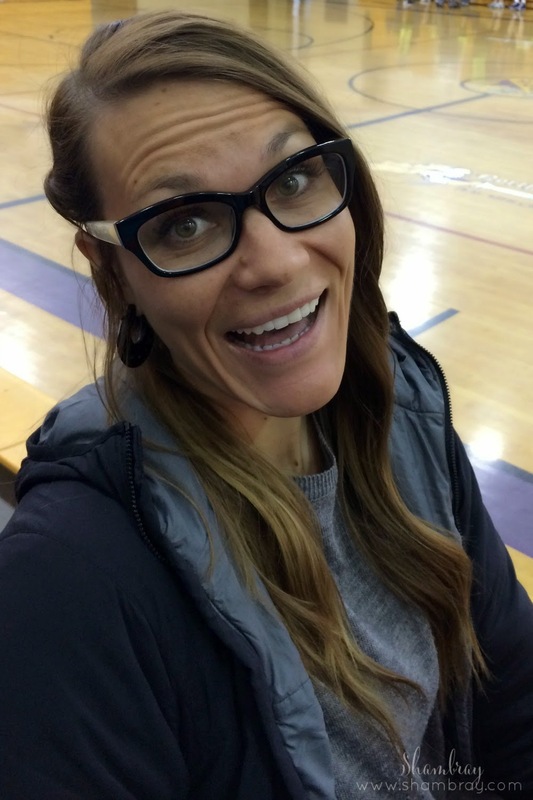 This post is by Laura, beauty/hair contributor! March. Holy cow! That came fast! By now we are all probably getting into the swing of things and finding our groove, if you will, for this new year. 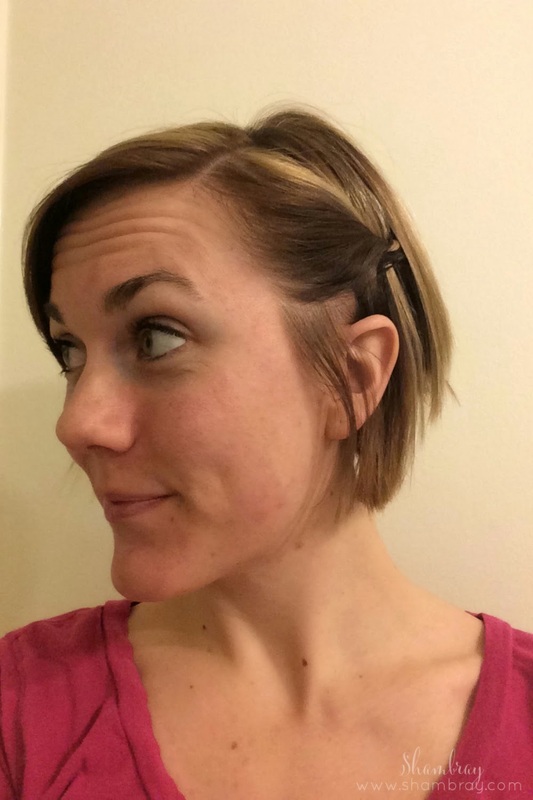 I have started a new job this year and I am always looking for quick and easy ways to style my hair for work. 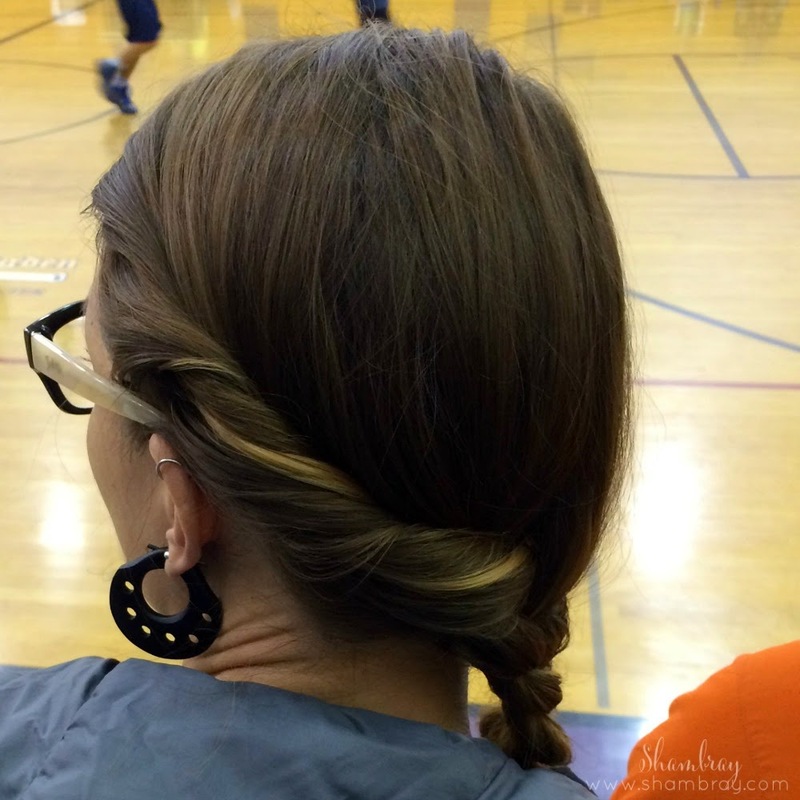 Today I am going to share two incredibly quick ways to throw your hair up or just switch it up in just a few minutes before you run out the door. Even if you work at home, having your hair done is somehow quite satisfying. You feel better and are more liking to have a productive day if you get ready, even with just a simple hair-do. Braids are always beautiful and fun, but I spent a whole summer learning to French braid my own bangs/hair, and to this day I struggle with them. Some days, they are perfect and other days I can do it a million times and it still looks terrible. This is when I discovered “twists.” I am sure you have seen them before. They are quite popular! In my opinion they are much more realistic for an every-day look that will end up looking fabulous. Today will be two simple looks that you can play with and make your own. They have both worked fantastically for me! **I forgot to take a pic of the front of this style, so this is what the front would look like. The next style is similar, but if you can leave your hair down. For this style you will also part your hair on the side. On the side that has the part, section off that side and twist away! 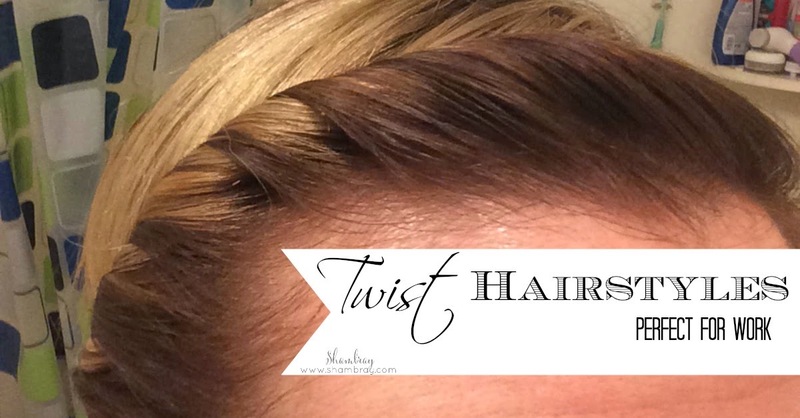 Use a bobby pin to secure the twist, first go in the direction of the twist then send it back towards your hairline to get a nice tight hold. (Don’t get it too tight or you will end up with a headache throughout the day!) Feel free to curl your hair or leave it straight. It looks great both ways. This is a more edgy look, but it will switch things up and look great! My cute sister, Heather, modeling these fun looks! Again…I forgot to take a good pic of the side, so I did it on my short hair so you could see how it would look. But it will work with all lengths of hair! 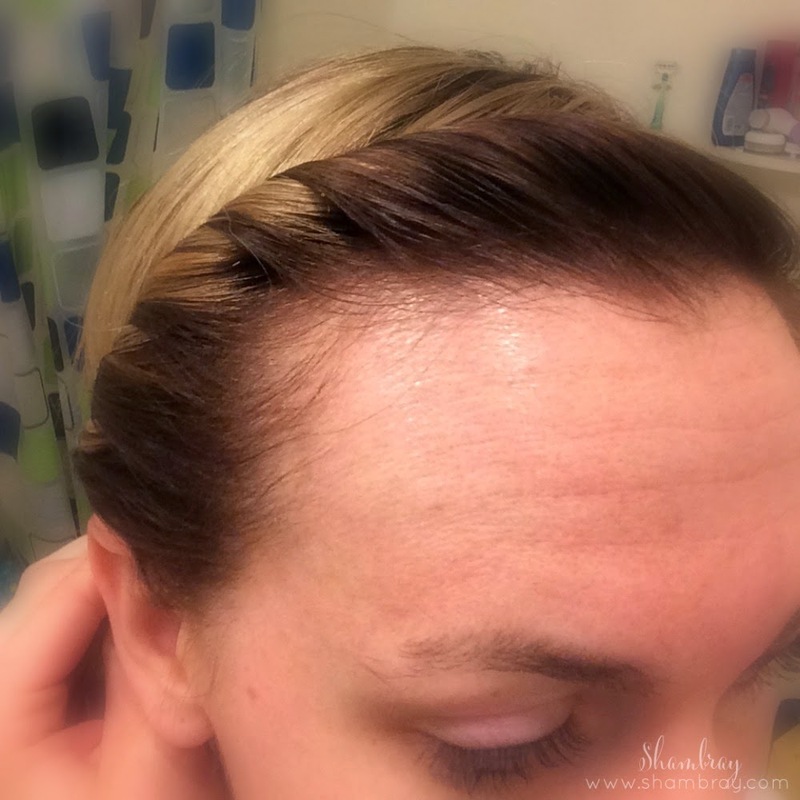 If you are feeling adventurous and just want to French braid your hair, then by all means go for it, but if you are short on time but want something similar, twist that hair! 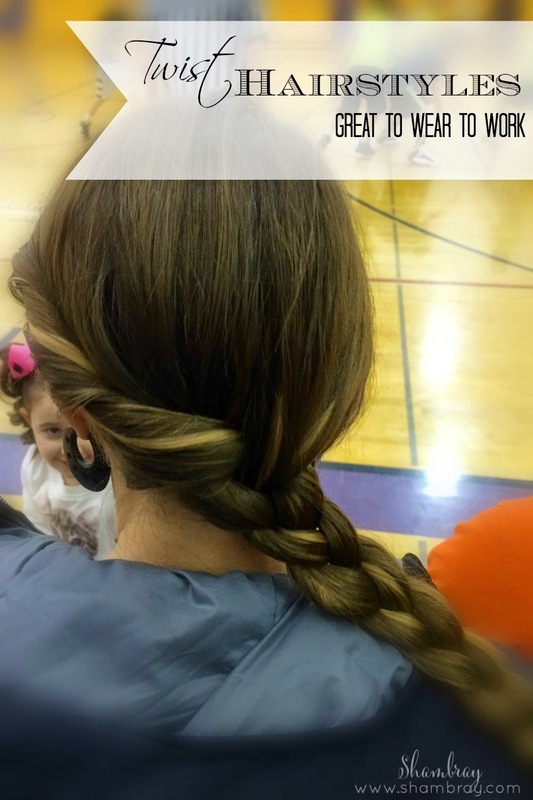 You will love having your hair out of your face and something easy to do when you only have a few minutes before you need to get going!